The Nobel Peace Prize is one of six awards bearing the name Alfred Nobel that are presented today. 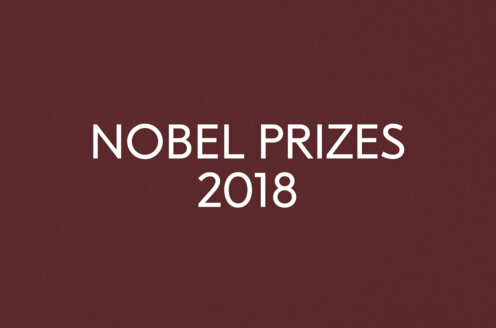 Five of these awards are made in Stockholm, and the Norwegian Nobel Committee would like to take this opportunity to congratulate the laureates who will be honoured in the Swedish capital today. This year’s ceremony is an occasion of special gratification to us Norwegians, as one of the recipients is a Norwegian, Professor Trygve Haavelmo, the winner of this year’s Nobel Prize for Economics. We would like to congratulate him on this honour. This year’s Nobel Peace Prize has been awarded to H.H. The Dalai Lama, first and foremost for his consistent resistance to the use of violence in his people’s struggle to regain their liberty. Ever since 1959 the Dalai Lama, together with some one hundred thousand of his countrymen, has lived in an organised community in exile in India. This is by no means the first community of exiles in the world, but it is assuredly the first and only one that has not set up any militant liberation movement. This policy of nonviolence is all the more remarkable when it is considered in relation to the sufferings inflicted on the Tibetan people during the occupation of their country. The Dalai Lama’s response has been to propose a peaceful solution which would go a long way to satisfying Chinese interests. It would be difficult to cite any historical example of a minority’s struggle to secure its rights, in which a more conciliatory attitude to the adversary has been adopted than in the case of the Dalai Lama. It would be natural to compare him with Mahatma Gandhi, one of this century’s greatest protagonists of peace, and the Dalai Lama likes to consider himself one of Gandhi’s successors. People have occasionally wondered why Gandhi himself was never awarded the Nobel Peace Prize, and the present Nobel Committee can with impunity share this surprise, while regarding this year’s award of the prize as in part a tribute to the memory of Mahatma Gandhi. This year’s laureate will also be able to celebrate a significant jubilee, as it is now fifty years since he was solemnly installed as H.H. the Fourteenth Dalai Lama of the Tibetan people, when he was four years old. Pursuing the process of selection that resulted in the choice of him in particular would involve trespassing what, to a Westerner, is terra incognita, where belief, thought and action exist in a dimension of existence of which we are ignorant or maybe have merely forgotten. According to Buddhist tradition every new Dalai Lama is a reincarnation of his predecessor, and when the thirteenth died in 1933 a search was immediately instigated to find his reincarnation; oracles and learned lamas were consulted and certain signs observed. Strange cloud formations drifted across the heavens; the deceased, placed in the so-called Buddha position facing south, was found two days later facing east. This indicated that a search should be carried out to the east, and a delegation accordingly set forth, first to one of Tibet’s sacred lakes, where the future could be revealed in the surface of the water. In this case, a monastery was indicated, as well as a house with turquoise-coloured tiles. The delegation continued on its way, and found first the monastery and then the house, in the village of Takster in Eastern Tibet. It was the home of a crofter and his family, and they were asked if they had any children. They had a two-year-old son called Tenzin Gyatso. A number of inexplicable acts carried out by this boy convinced the delegation that they were at their journey’s end, and that the Fourteenth Dalai Lama had been found. Like so much else in the realm of religion this is not something we are asked to comprehend without reason: we encounter phenomena that belong to a reality different from our own, and to which we should respond not with an attempt at rational explanation, but with reverent wonder. Throughout its history Tibet has been a closed country, with little contact with the outside world. This is also true of modern times, and maybe explains why its leaders failed to attach due importance to formal de jure recognition of their country as an autonomous state. This, too, may be one of the reasons why the outside world did not feel any obligation to support Tibet, when the country in 1950 and the years that followed was gradually occupied by the Chinese, who – in direct opposition to the Tibetans’ own interpretation – claimed that Tibet has always been a part of China. In occupying the country the Chinese have, according to the conclusion reached by the International Commission of Jurists, been guilty of “the most pernicious crime that any individual or nation can be accused of, viz., a wilful attempt to annihilate an entire people”. Meanwhile Tenzin Gyatso had by now reached the age of sixteen, and in the critical situation that now arose, he was charged with the task of playing the role of political leader to his people. Up till then the country had been ruled on his behalf by regents. He would have to assume the authority that the title of Dalai Lama involved, a boy of sixteen, without political experience, and with no education beyond his study of Buddhist lore, which he had absorbed throughout his upbringing. In his autobiography My Life and My People he has given us a vivid account of his rigorous apprenticeship at the hands of Tibetan lamas, and he declares that what he learnt was to prove no mean preparation for his allotted career, not least the political part of his work. It was on this basis he now developed the policy of nonviolence with which he decided to confront the Chinese invaders. As a Buddhist monk it was his duty never to harm any living creature, but instead to show compassion to all life. It is maybe not to be wondered at that people so closely involved in what they call the world of reality should consider his philosophy somewhat remote from ordinary considerations of military strategy. The policy of nonviolence was also, of course, based on pragmatic considerations: a small nation of some six million souls, with no armed forces to speak of, faced one of the world’s military superpowers. In a situation of this kind the nonviolence approach was, in the opinion of the Dalai Lama, the only practical one. In accordance with this he made several attempts during the 1950s to negotiate with the Chinese. His aim was to arrive at a solution of the conflict that would be acceptable to both parties to the dispute, based on mutual respect and tolerance. To achieve this he staked all his authority as Dalai Lama to prevent any use of violence on the part of the Tibetans; and his authority proved decisive, for as the Dalai Lama he is, according to the Buddhist faith, more than a leader in the traditional sense: he symbolises the whole nation. His very person is imbued with some of the attributes of a deity, which doubtless explains why his people, despite gross indignities and acute provocation, have to such a marked degree obeyed his wishes and abstained from the use of violence. From his exile in India he now waged his unarmed struggle for his people with untiring patience. He has every justification for calling his autobiography My Life and My People, because the life of the Tibetans is in truth his life. But political support from the outside world remained conspicuous by its absence, apart from a few rather toothless UN resolutions that were adopted in 1961 and 1965. Throughout the 60s and 70s the Dalai Lama was regarded as a pathetic figure from a distant past: his beautiful and well-meaning philosophy of peace was unfortunately out of place in this world. But in the course of the 1980s things have taken a dramatic turn. There are several reasons for this. What has happened – and is still happening – in Tibet has become more generally known, and the community of nations has started to feel a sense of joint responsibility for the future of the Tibetan people. That their trials and tribulations have failed to break the spirit of the Tibetans is another reason; on the contrary, their feeling of national pride and identity and their determination to survive have been enhanced, and these are expressed in massive demonstrations. Here, as in other parts of the world, it is becoming increasingly obvious that problems cannot be solved by the use of brutal military power to crush peaceful demonstrations. In Tibet, as elsewhere, conflicts must be resolved politically through the medium of genuine negotiation. The Dalai Lama’s negotiating policy has received the support of a number of national assemblies and international bodies, such as the United States Senate, the West German Bundestag, the Parliament of Europe, the United States Congress, eighty-six members of the Australian Parliament and the Swiss National Assembly. Nor should we forget that the Dalai Lama has been the recipient of a number of international awards and honours in recognition of his work and in support of his cause. It now seems in fact as if things are beginning to move in the right direction, and what has been achieved in this respect may be entirely ascribed to the Dalai Lama’s consistent policy of nonviolence. For perfectly understandable reasons the policy of nonviolence is often regarded as something negative, as a failure to formulate a well-considered strategy, as a lack of initiative and a tendency to evade the issue and adopt a passive attitude. But this is not so: the policy of nonviolence is to a very high degree a well thought-out combat strategy, It demands singleminded and purposeful action, but one that eschews the use of force. Those who adopt this strategy are by no means shirking the issue: they manifest a moral courage which, when all is said and done, exceeds that of men who resort to arms. It is courage of this kind, together with an incredible measure of self-discipline, that has characterised the attitude of the Dalai Lama. His policy of nonviolence too, has been carefully considered and determined. As he himself put it in April of last year, after a peaceful demonstration in Lhasa has been fired on by troops: “As I have explained on many occasions, nonviolence is for us the only way. Quite patently, in our case violence would be tantamount to suicide. For this reason, whether we like it or not, nonviolence is the only approach, and the right one. We only need more patience and determination”. In 1987 the Dalai Lama submitted a peace plan for Tibet, the gist of which was that Tibet should be given the status of a “peace zone” on a par with what had been proposed for Nepal, a proposal which the Chinese in fact have supported. The plan also envisaged a halt to Chinese immigration to Tibet. This has proceeded on such a scale that there is a risk of the Tibetans becoming a minority in their own country. Not least interesting is the fact that the plan also contains measures for the conservation of Tibet’s unique natural environment. Wholesale logging operations in the forests on the slopes of the Himalayas have resulted in catastrophic soil erosion, and are one of the causes of the flood disasters suffered by India and Bangladesh. The peace plan failed to initiate any negotiations with the Chinese, even though the discrepancies between the two sides were not particularly profound. The Dalai Lama’s willingness to compromise was expressed still more clearly in his address to the European Parliament on June 15th last year, where he stated his readiness to abandon claims for full Tibetan independence. He acknowledged that China, as an Asian superpower, had strategic interests in Tibet, and was prepared to accept a Chinese military presence, at any rate until such time as a regional peace plan could be adopted. He also expressed his willingness to leave foreign policy and defence in the hands of the Chinese. In return the Tibetans should be granted the right to full internal autonomy. In his efforts to promote peace the Dalai Lama has shown that what he aims to achieve is not a power base at the expense of others. He claims no more for his people than what everybody – no doubt the Chinese themselves – recognises as elementary human rights. In a world in which suspicion and aggression have all too long characterised relations between peoples and nations, and where the only realistic policy has been reliance on the use of power, a new confession of faith is emerging, namely that the least realistic of all solutions to conflict is the consistent use of force. Modern weapons have in fact excluded such solutions. In view of this, fewer and fewer people would venture to dismiss the Dalai Lama’s philosophy as utopian: on the contrary, one would be increasingly justified in asserting that his gospel of nonviolence is the truly realistic one, with most promise for the future. And this applies not only to Tibet but to each and every conflict. The future hopes of oppressed millions are today linked to the unarmed battalions, for they will win the peace: the justice of their demands, moreover, is now so clear and the normal strength of their struggle so indomitable that they can only temporarily be halted by force of arms.